Need some help debugging Soliloquy? Maybe you’re having some trouble and not sure what to do next? We can walk you some things to check first. There are many WordPress themes and plugins out there for WordPress. We’re always working to improve Soliloquy’s compatibility with other products. In order to help us do this, there are some steps you can take before requesting support on an issue. Soliloquy requires a minimum PHP version of 5.6. We recommend PHP 7+ as it’s a faster PHP processor. Soliloquy recommends the same requirements that WordPress recommends. BACKUP: It’s important to always make a backup of your site before debugging, in case you accidentally delete or remove something that you shouldn’t! This is good practice for any WordPress site. Learn how to backup your site. ENABLE DEBUGGING: You can enable debugging for your site to view any PHP errors output when reproducing the issue can help quickly identify the source of the problem. Learn how to enable debugging. THEME/PLUGIN CONFLICT: Checking for a possible theme or plugin conflict is a standard part of the debugging process and should be performed if you’re have any issues with not just Soliloquy but across your site in general. 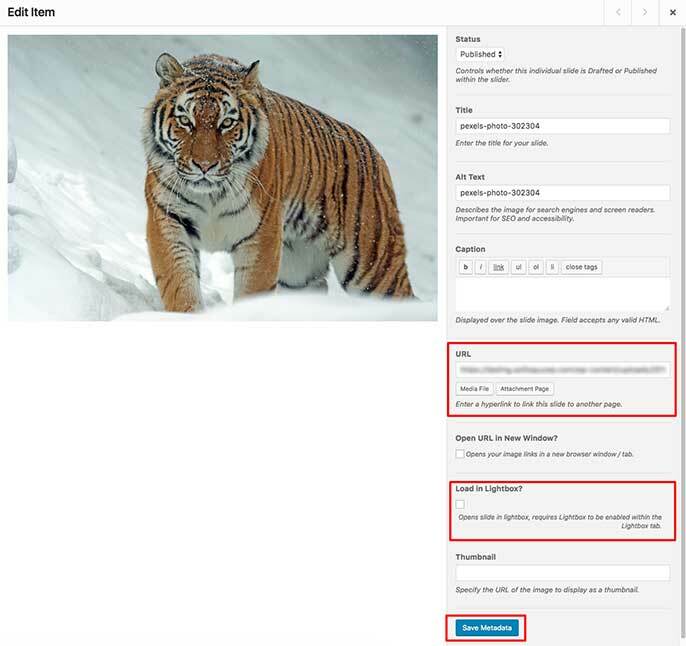 Learn how to check for a theme/plugin conflict. MOBILE COMPATIBILITY: Soliloquy only supports the last two versions of iOS for both iPhone and iPad devices. If after completing the above steps and you’re unable to identify or solve the issue please proceed to our Getting Support guide. Some errors can be specific and we’ve put together a few of the most common as shown below. This can be due to a possible plugin or theme conflict. Check for a plugin/theme conflict. If this resolves the issue, contact the support to report the conflict. As with above, this is also likely caused by a possible theme or plugin conflict. Check for a plugin/theme conflict. If this resolves the issue contact the support of the buggy plugin/theme to resolve the issue. This issue typically happens when your WordPress installation runs out of available PHP Memory to create the thumbnail image that is automatically created for hosted videos. Increase the available PHP Memory for your WordPress installation. However, some hosting companies may not allow you to manually change the PHP Memory. You may need to contact your host to complete this process for you. We have just the article for you! Click here to learn how to verify your Soliloquy license. If you’re using the X Theme then you’ll need to follow their documentation for enabling the Settings menu before you can verify your Soliloquy license key and access the Addons menu screen. Follow the X Theme documentation at https://community.theme.co/kb/integrated-plugins-soliloquy/ (Under the Bundled Version section). Another reason could be that you still have Soliloquy Lite installed. Please review our tutorial here on How to Upgrade from Soliloquy Lite to a Paid License. If you’re not seeing the updates for the Soliloquy plugin or addons try one of the following resolutions. You may need to refresh the Updates page a couple of times to see the update active. Refreshing the Updates page causes WordPress to check for updates and Soliloquy will be added into those updates is there is an update available for the plugin (or Addons). We’ve also put together a list of frontend issues you may typically see. Make sure that your active theme contains the wp_footer(); tag, this is typically located just before the closing </body> tag in the footer.php template file. It’s possible there is an error loading the Soliloquy script. This is typically caused by a CSS conflict. Open up the site in Google Chrome browser. Right-click on any element that is not displaying correctly and select the Inspect option from the pop over menu. This will open the Dev Tools window for Chrome. Highlight the element with the incorrect display in the Dev Tools window and check the CSS to see if your theme’s styles are overwriting Soliloquy’s styles. You can test edit the CSS directly from the debugging console to see what clears up the issue, then apply fixes to the style.css file of your active theme, or wherever you store your CSS customizations, as necessary. As with above, this could also be a CSS conflict with the theme or a plugin. You can control the positioning of your slider from the slider edit screen. Edit the slider to confirm the Slider Position that is set from the Configuration tab. Why aren’t my slider images cropping? This will happen if you’re using JetPack’s Performance &amp; Speed (formerly called Photon) module and Media Settings which loads the original, full-size, image instead of the image cropped to the specified dimensions. Disable JetPack’s global Content Delivery Network JetPack » Settings » Performance &amp; Speed. When using any CDN to serve your images, Envira will not have the correct permission to create any cropped images for you. 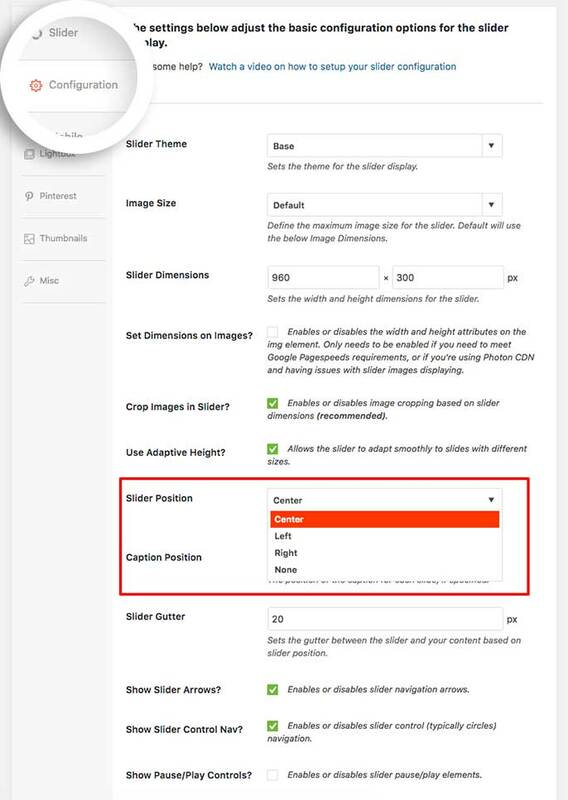 Check the URL field of the slider image to make sure there is a URL on the image. You can see our Creating Your First Soliloquy slider doc for the best way to create sliders. In the slider edit screen, select the blue pencil at the top of the image thumbnail. This will open the Edit Item screen, where you can see the URL field. If this field is empty, select the Media File button to automatically populate the URL field with the URL of the image file. Check the Load in Lightbox? Select the Save Metadata button at the bottom of this screen before navigating to the next item or closing the Edit Item screen. Update your slider and check that this resolves the issue. Previously you may have been using a different plugin for your lightbox so this plugin and Soliloquy Lightbox Addon are both trying to open the same image. Turn off any plugins on your site previously used for your lightbox. In Avada, for example, you can disable the theme’s lightbox by navigating to Avada Theme Options » Lightbox and turning the lightbox feature off. A: If you’re needing some help on how to back up your site, please read through How to Backup & Restore Your WordPress Site with UpdraftPlus to get started. Go to http://mysite.com/wp-content/debug.log to see the error log. Be sure to send it through as part of your support request — it can be useful to help fix more technical issues. Visit the webpage where the error is occurring. Right-click on the page and select the Inspect Element option from the screen popup. Once the debugging window has appeared, click on the Console tab to the right. Make a note of any red errors that appear, and include them in your support request. Now that you’ve covered our debugging guide, it’s time to check out our Getting Support guide.